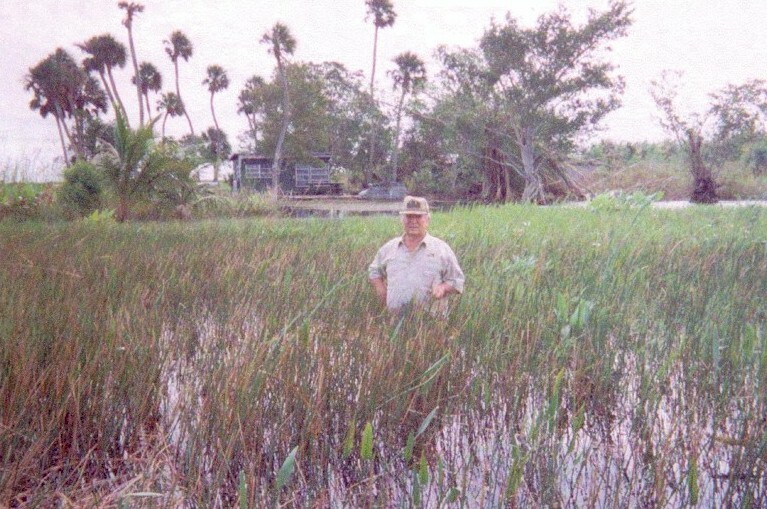 Tom Shirley standing in water in Front of Henschel's Hammock-Photo taken in Dec 1999. This is the same hammock as prior pictures #1,2,3A, 3B. Today most of the native plants, shrubs & large trees have been destroyed by high water. Much of the tree island has eroded. 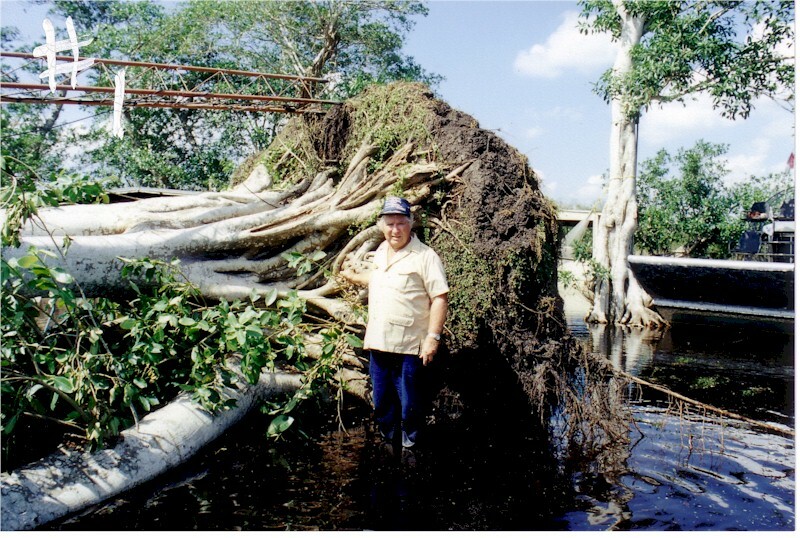 This is an example of what has taken place through out the Everglades due to high water levels. Now the US Army Corp of Engineers are for much higher water schedules. Fig tree hundreds of years old fallen because roots have rotted away leaving no support. Note no large roots attached. This problem is now affecting most all fig trees. Higher water schedules are recommended by the water management study team.